Environmental concept, Tree in forest. 图库插图: Environmental concept, Tree in forest. Environmental concept. Tree in forest and leaves. 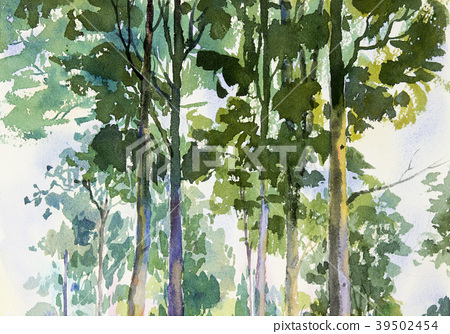 Watercolor painting colorful of flowers garden trees and spring with nature green and on white background. Painted Impressionist, illustration.